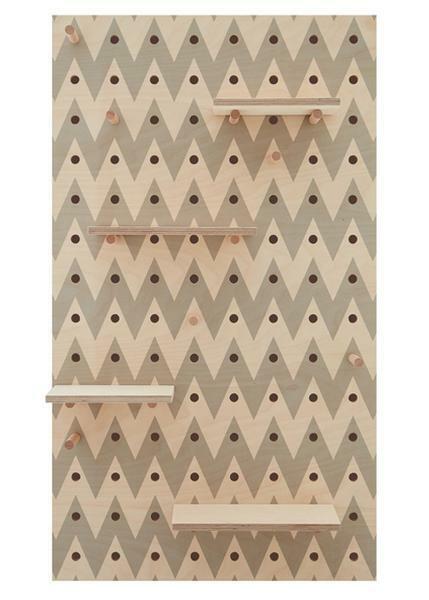 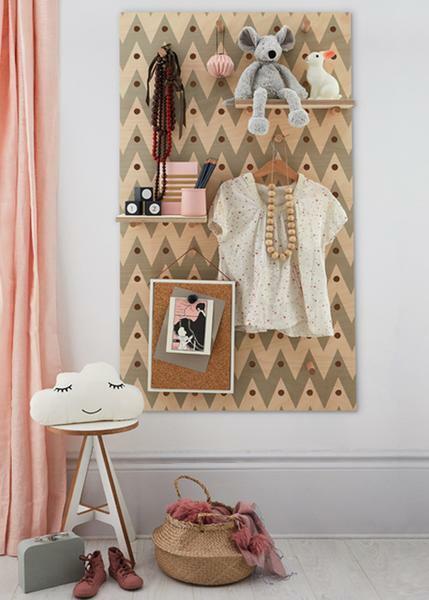 Minimal and contemporary pegboard with striking chevron pattern design, perfect for increasing storage space in your home or office whilst adding a new talking point to your space. 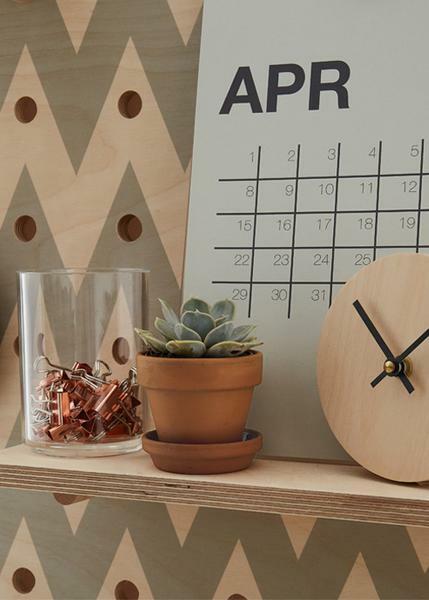 2 x small shelves (12cm x 24cm). 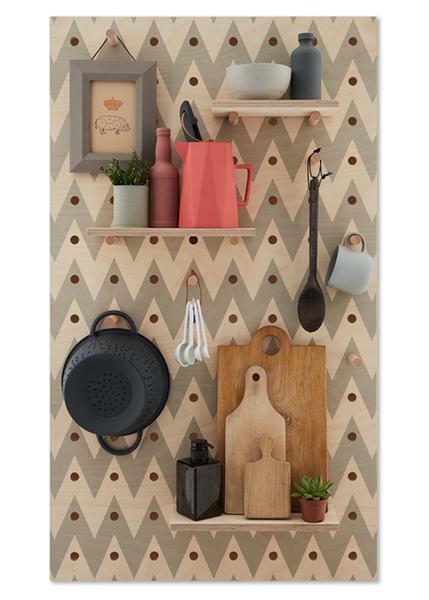 2 x large shelves (12cm x 32cm). 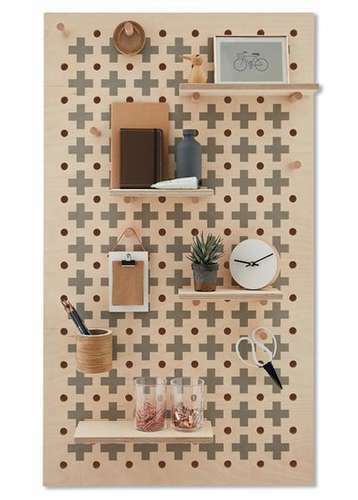 Kreis Design was founded by Nikki Kreis who with a background in architecture has a real passion for designing and creating furniture and homewares which are both highly functional and beautifully made. 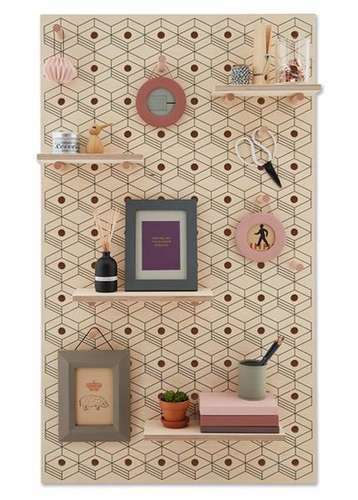 Nikki has developed furniture and interiors all over the world and after moving London decided to set up shop and has developed an extensive range designed and made in her London studio.